People say I'm shifty and not to be trusted. I'm getting into trouble without even trying. Just like the summer I got sent to juvie. Only none of that was my fault. Now it's happening all over again. When fifteen-year-old Soli is assigned to a new foster home, complete with mum, sister and baby brother, he struggles to find a balance between the independent spirit that has helped him survive and his longing for a place to call home. 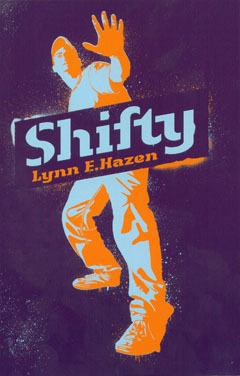 Shifty by Lynn E Hazen is available to buy now.